These were too beautiful not to share. Eating a rainbow of color in fruits and vegetables ensures that you are getting the whole spectrum of health benefits that each color offers… These carrots make it pretty easy. 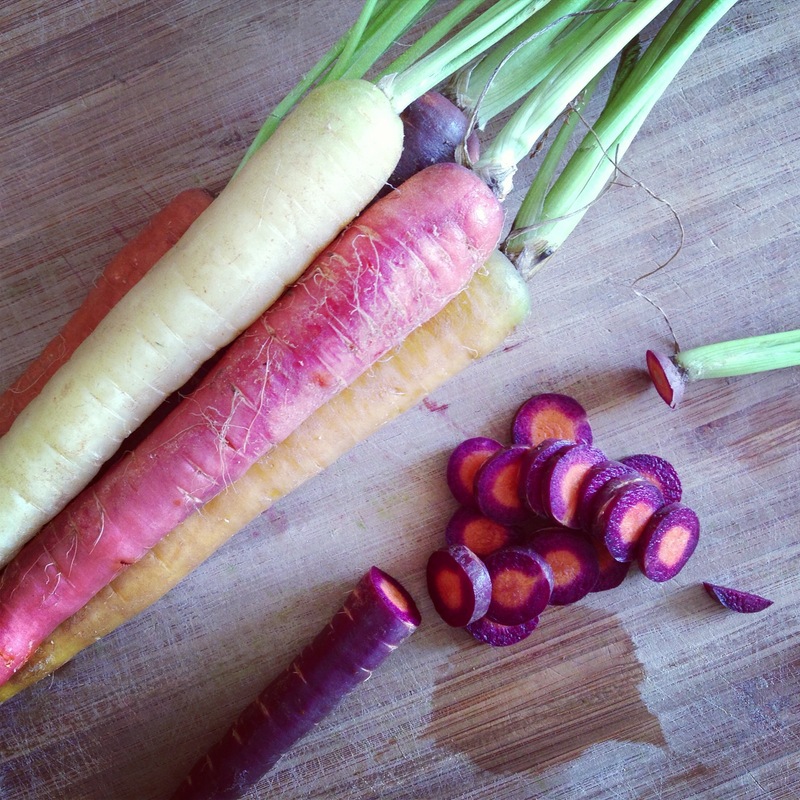 Tags: carrots, color, eating the rainbow, heirloom, rainbow. Bookmark the permalink.